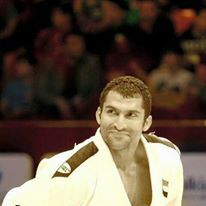 After a 2015 that saw him win many medals, prizes, and championships, the Egyptian judo champion Ramadan Darwish has qualified for the 2016 Rio Summer Olympics. In the 2015 Judo Grand Prix, held in the German city of Düsseldorf from 20 to 22 February, Darwish won second place, with Japan’s Haga Ryunosuke coming in first. In the 2015 Judo Grand Slam, held in Baku, Azerbaijan, from 8 to 10 May, Darwish won bronze. Gold and silver went to Russian Adlan Bisultanov and Azeri Elmar Gasimov, respectively. His victories throughout 2015 include winning the 2015 Judo Grand Prix, held in the Hungarian capital of Budapest, on 13 and 14 June. In the final he won against the Greek player Dimitri Peters. In the 2015 Judo World Masters, held in Rabat, Morocco, Darwish came in the third place. Darwish’s victories during 2014 were also unforgettable. He was the winner of the 2014 Judo Grand Prix, beating Belgium player Toma Nikiforov. The competition was held in Uzbekistan’s capital of Tashkent, from 16 to 18 October. In the 2014 Judo Grand Prix, held in Astana, Kazakhstan from 10 to 12 October, he came in third; first place went to the Kazakh Maxim Rakov. Darwish’s most recent victory was winning the European Judo Open 2016, held in January in the Bulgarian capital of Sofia, in which Darwish won in the final match against Brazil’s Correa Luciano. Despite being guaranteed a place at Rio 2016 Summer Olympics, Darwish told Daily News Egypt that he will continue to participate in the upcoming competitions this year, to keep up and improve his performance.